Could be accurate, could be an Etch A Sketch. Who knows? I look at this app a lot—have the widget set up too. It could easily be a 5-star app, but there is not enough help for how to set it up and use it for best accuracy. I am not an expert, but I can certainly follow instructions. There are minimal instructions. I’ve also found reason to question its accuracy. 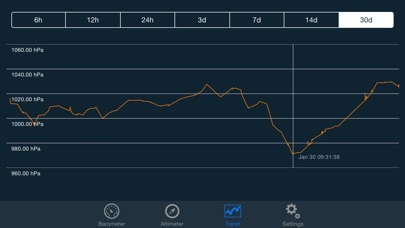 First, there seem to be differences between data/trend readings on different iPhones. I was sitting in the same room with a friend, and we both had the app open on our phones (an iPhone 8 and X)—we had been together all day and were looking at the 6-hour trend view. The graph looked significantly different on each phone, and the station altitudes were reading about 10 ft. different too. Why? How? We even put the phones side by side on a table, but the altitude was still different. That was disturbing. Our app settings were exactly the same, but there must be some setting somewhere on the phone that’s off...sure would like to know what to look for. As for trends, I’ve read that there’s some issue with the app not being able to run in the background; if that’s the case, how can it even display accurate trend readings? That failed comparison test made me lose confidence in the app. Second, the “Help/About” section on the app has no actual help—tells you what some settings/features are (that’s the “about” part, I guess), but not how you should set each one for accuracy. I assume the developers understand everything, so I wish they would share that knowledge with the users—e.g., what the different setting options do and why you should choose one over the other, what the terminology means in lay terms, and how to find the data to input if necessary. A specific example among many of where “help” would be, well, helpful: On the altimeter, there’s a setting for “outside temperature” that reads “68.” What is this? No clue. That’s not close to the actual temperature where I am (it’s currently 52 F), so it’s not that, but I don’t know what it is or whether I should manipulate that setting. There’s a + and - button that moves the number in 9 digit increments (? ), but there is zero help for this setting. I’m not looking for professional-level pinpoint accuracy on my phone, but right now, I can’t tell if it’s even in the ballpark of accurate. I just installed the Pro and I really like it. I have to watch the pressure Dailey because I suffer with chronic migraines!! Barometric pressure will set my off. Thanks love the look of this. I upgraded to Pro while using the app and the features were no applied. I reloaded it to “Restore Purchases” and the we’re not applied. The “Pro” version never downloaded. Don’t waste $1.99 of your money and get ripped off buying add on purchases! Nice app. Worked well until today. Stopped tracking pressures. Re-downloaded the app but didn’t correct the problem. Please fix. Thank you! 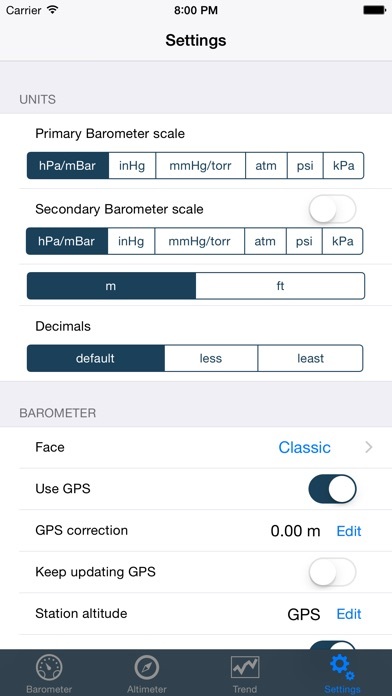 I’m an automotive technician, I use this app to tell me the station pressure of where I’m at, so that I can check the accuracy of the BARO sensor on cars I’m working on. I like that that it can display in inHg, kPa, psi, and others, because different cars display using different units. 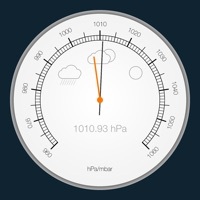 For those who are unfamiliar, “station pressure” is the actual barometer reading right here, right now, at your phone, at whatever altitude you are at. 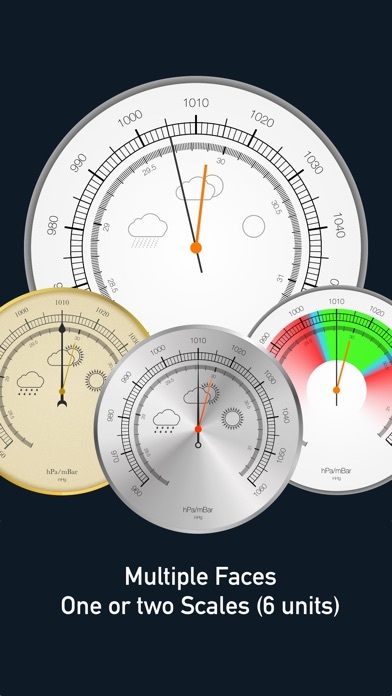 Because altitude affects barometer readings, “Pressure at sea level” has been adjusted for altitude to give you just that; what the pressure would be at sea level. Weather forecasters give you this reading. 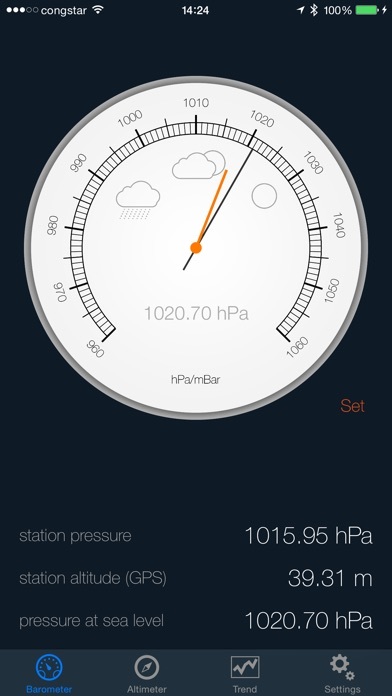 But if you’re working on cars like I am, you need to know your station pressure. Your joints-every single one of them is it’s own separate capsule- meaning it has its own pressure. I have patients who say they can tell when it’s going to rain or get cold. No, they can tell when the pressure’s dropping- which is almost always accompanied by some type of weather change, rain, cold or otherwise-and your joints internal pressure is “feeling” the External pressure change. High pressure is typically fair weather, a dropping barometer means change is coming-soon. Your astute assessment regarding your joints is correct-if someone tells you it’s a myth-they’re referring to your ability to discern rainy/cold weather-which is only partly true-I’m getting redundant. Most things in nature are in tune with the barometer- I notice I get hungry when the barometer drops-as does most of the animal kingdom, the fishing is typically better during a falling barometer. Alas, I’m a novice myself at setting the barometer-sorry I couldn’t be of more help there. By Don't get fooled again! The barometer may or may not be correct. The altitude is over 200 ft. Low. If the altimeter were correct I would be under water!!! At least it was free and yes it will be deleted. I use this on my iPad, and found it to be very accurate within 0.02hg of what the airport, 20-miles away, is reporting. I use this to gage weather related pain levels, and really like the ability to establish a set point to determine pressure trends. not as i expected. i have other weather apps less complicated.